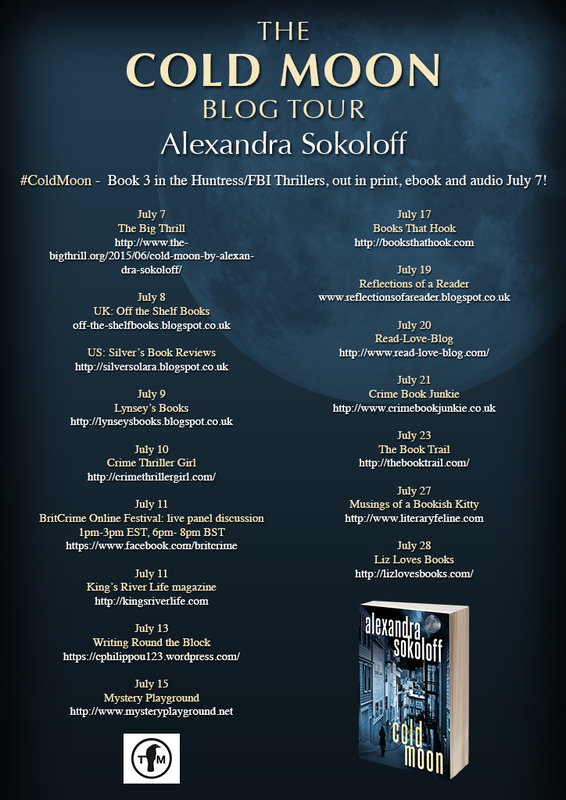 I am delighted to welcome you to the Cold Moon by Alexandra Sokoloff Blog Tour. Many thanks to the author for inviting me to take part and also for sending me the first book in the series and getting me absolutely hooked in. The hunt for mass murderer Cara Lindstrom is over. FBI Special Agent Matthew Roarke has been working for this moment: the capture of a killer who savagely hunts the worst of humanity. But Roarke remains traumatized by his own near-death at the hands of the serial killer who slaughtered Cara’s family…and haunted by the enigmatic woman who saved his life. 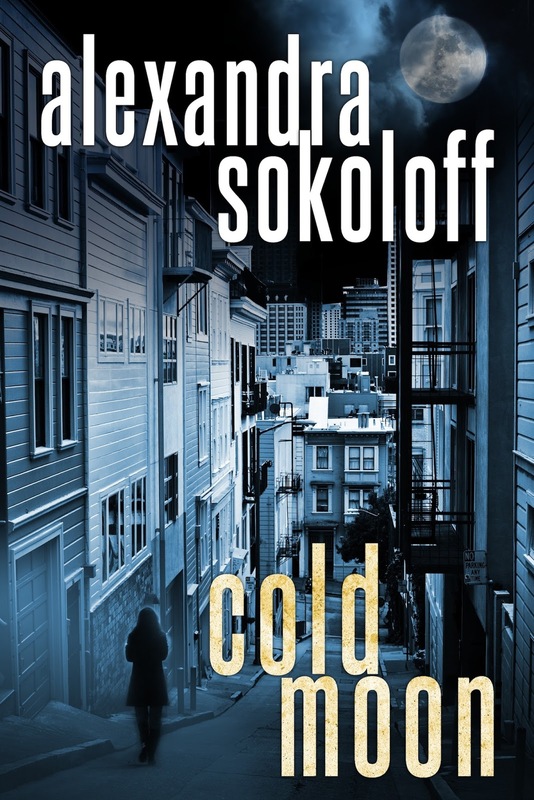 Then the sixteen-year-old prostitute who witnessed Cara’s most recent murder goes missing, and suddenly pimps are turning up dead on the streets of San Francisco, killed with an MO eerily similar to Cara’s handiwork. Is a new killer on the loose with a mission even more deadly than hers? In the pulse-pounding third Huntress/FBI Thrillers book, Roarke will have to go on the hunt…and every woman he meets, even those closest to him, may prove deadly. 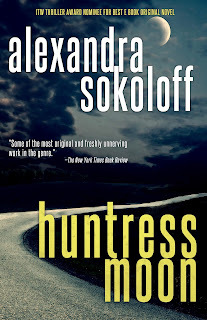 So far I have read the first book in the series Huntress Moon. I am now totally addicted. I found the plot plausible, the pace of the writing fantastic and couldn't wait to keep turning the next page to find out what else would happen. I finished the book at such a fast rate as I couldn't wait to read just one more page. It also left me with much to think about. A female serial killer is not something that happens so much in literature. I wonder why that is? The characters are all well drawn and it was interesting to gradually find out more of their backgrounds. I never thought I would have empathy for a killer but this book and the characters get under your skin. It is clever and I really love the psychological elements. I will be reading this series in the entirety and devouring it all, it is highly recommended that you do to. 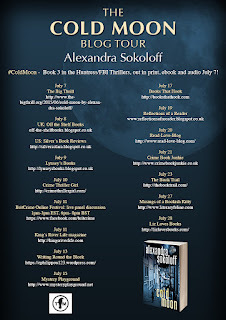 I am absolutely delighted to welcome Alexandra to the blog today and to thank her for spending time answering my questions. 1) Where is your favourite place to write and is there any particular time that works better for you? Weirdly, my favourite place to write is on planes, which is useful because I spend so much time in them – I’m American and my partner, the crime author Craig Robertson, is Scottish, and we live in both California and Scotland, so yeah, a lot of flying! I can get about three times more writing done in a day when I’m on a plane. I’m a full-time writer so I write most of the day, but the mornings are definitely best for me—I love starting to write before I’m really awake, so I can get that dreamlike quality onto the page. 2) Where did the idea for the series come from, and could you tell us why you chose to have a female serial killer? 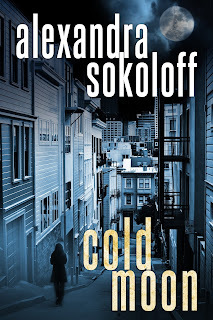 The idea came to me at the San Francisco Bouchercon, the World Mystery Convention. One afternoon there were two back-to-back discussions with several of my favorite authors: Val McDermid interviewing Denise Mina, then Robert Crais interviewing Lee Child. There was a lot of priceless stuff in those two hours, but two things that really struck me from the McDermid/Mina chat were Val saying that crime fiction is the best way to explore societal issues, and Denise saying that she finds powerful inspiration in writing about what makes her angry. Write about what makes you angry? It doesn't take me a millisecond's thought to make my list. Child sexual abuse is the top, no contest. Violence against women and children. Discrimination of any kind. Religious intolerance. War crimes. Genocide. Torture. That anger has fueled a lot of my books and scripts over the years. And then right after that, there was Lee Child talking about Reacher, one of my favorite fictional characters, and it got me thinking about what it would look like if a woman were doing what Reacher was doing. And that was it—instantly I had the whole story of Huntress Moon. Of course it didn’t really come all in a flash! I've been brooding about all this for decades, now. I've always thought that as writers we're only working with a handful of themes, which we explore over and over, in different variations. And I think it's really useful to be very conscious of those themes. Not only do they fuel our writing, they also brand us as writers. 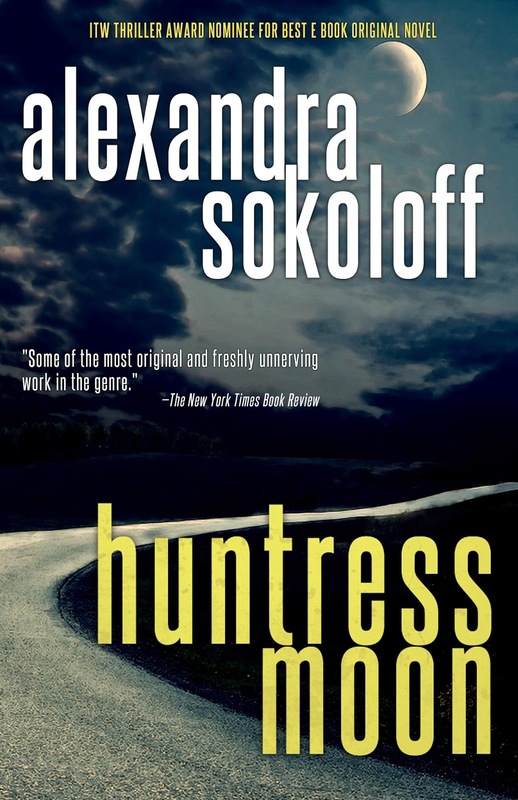 With the Huntress series I finally have an umbrella to explore, dramatically, over multiple books, the roots and context of the worst crimes I know. And at least on paper, do something about it. 3) Are there any Characters that you would like to develop further in future, or a particular theme you would like to write about? Most of the characters in the Huntress series are going to be coming back again in books 4 and 5, but I can’t say anything more about that without spoilers! In general, a constant theme with me seems to be putting a man and a woman together to solve a crime or crimes from vastly different perspectives. I’m fascinated with that alchemy, and the sexual tension it can create. 4) Are you currently writing anything else? I’m working on Book 4 of the Huntress series, Wolf Moon. Every one of these books has been harder than the last, because I feel like I have to keep upping the ante, and it’s the same with this one — it’s got a dual time line and I’m tearing my hair out over it. I’m also developing a new crime series set half in Scotland and half in Los Angeles. As they say “Write what you know.” J But I think that people on both sides of the Atlantic would be interested in learning more about the other side, and Scotland definitely has some interesting crime going on. 5) Which Writers inspire you? Well, besides the ones I talked about above! Ever since I was – well, way too young to be reading this kind of thing – I have loved Shirley Jackson, Mary Shelley, Daphne DuMaurier, the Bronte sisters, Anne Rice, and the lesser known but absolutely revolutionary Charlotte Perkins Gilman, who in The Yellow Wallpaper turned post-partum depression into a descent into hell that I personally may never recover from. These are authors who write deeply psychological suspense from a distinctly feminine point of view, and who write about evil so encompassing it’s almost supernatural. These days Mo Hayder and Tana French are doing that, as well as McDermid and Mina. 6) Which book would you most likely give as a gift or recommend to other people? The book I do give people quite frequently is The Gift of Fear. It’s a non-fiction book by security consultant to the stars Gavin deBecker that provides fascinating accounts of ordinary people’s lifesaving perceptions. I recommend it to my writing classes and to aspiring writers who want to write suspense, and I think it’s essential self-defense knowledge for all women and girls. And boys. 7) Could you share with us something that other people don’t necessarily know about you? What always springs to mind when people ask this is: I’m a licensed minister in California. I got a license when two friends wanted me to officiate at their wedding, and then people kept asking me. And all the couples I’ve married are still together! 8) If you could have written any book from the past, which would it be? Wow, that is a really good question. I think I would say The Haunting of Hill House, not just because I love that book but because I would like to know what it was like to be Shirley Jackson. Such a brilliant mind and such an interesting life. But if I can include plays in the question, it would be Hamlet, hands down. My brain might explode, but I’d like to be inside that mind, even for a few moments. 9) What do you like to do in your spare time? I have two major addictions: travel and dance. I’m extremely lucky that Craig and I both love travel and are paid to do it for work—we’re both asked to appear at various writing events, so we get funded to go to some amazing places. And the dance thing – I was a theatre kid before I ever started writing and I trained in jazz, ballet, tap and modern dance. As an adult I discovered swing and salsa. I can’t get enough of dance, any kind, really! Thanks a million for having me! 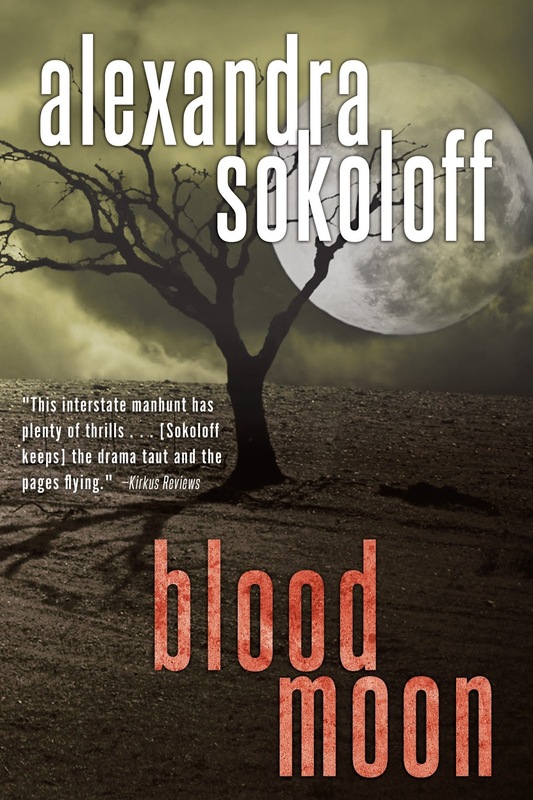 Alexandra Sokoloff is the Thriller Award -winning, Bram Stoker and Anthony Award-nominated author of eleven supernatural, crime and paranormal thrillers. As a screenwriter she has sold original scripts and written novel adaptations for numerous Hollywood studios, and teaches the internationally acclaimed Screenwriting Tricks for Authors workshops. She lives in Los Angeles and in Scotland. It is strongly recommended that you start this series with Book 1! Thanks for checking the series out, Anne! Thanks for having me and for the great questions, Leah! It's always great to do an interview that makes me think. Pleasure was mine. Fascinating series. Thanks so much for inviting me on the tour. I always enjoy reading about Alex. I first found Her in 2012 when I prepared for the Writer's Academy in Canyon, TX. I bought Book of Shadows and never looked back. I've read all of her books. I think. I'll have to read "The Yellow Wallpaper". Before I got hurt I was doing my Masters in Nursing thesis on Postpartum Depression. I've experienced it and worked with many women and families dealing with the depression and perinatal bereavement. Alex, maybe I should write about that. Thanks so much for stopping by. I am glad you enjoyed the interview. I think you may just have dented my bank balance again. 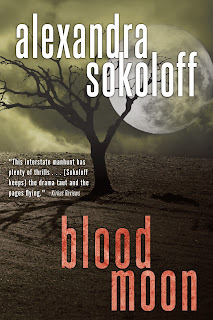 Thanks for introducing another author and for the chance to enter the giveaway. I aim to please -; Thanks for entering! A long term love affair with books started when I was a small child. It started with The Very Hungry Caterpillar by Eric Carle, and has moved on since then. To me a book will always be made of paper. Reading a book is an experience, the smell of the book, the feel of it and the wonderful places and things that you can experience between those pages. Leah Moyse. Simple theme. Theme images by latex. Powered by Blogger.